October again this year saw big falls over 300mm for the month. Generally it is a warm and dry month with just a few storms but this year we saw some unseasonable wet weather with soaking rain. The rain has given the creeks and river systems a good flush and has seen bait pushed out into the bay. Tuna have moved in, feeding along the dirty water line and have also moved up the straits as the water clears. The recent rains will bring on some good fishing through spring and into summer and will certainly get some of the inshore reef species going as well. A few spotted mackerel have started to move into the bay. Small bait has certainly made the fishing challenging with small metal slices getting the results. 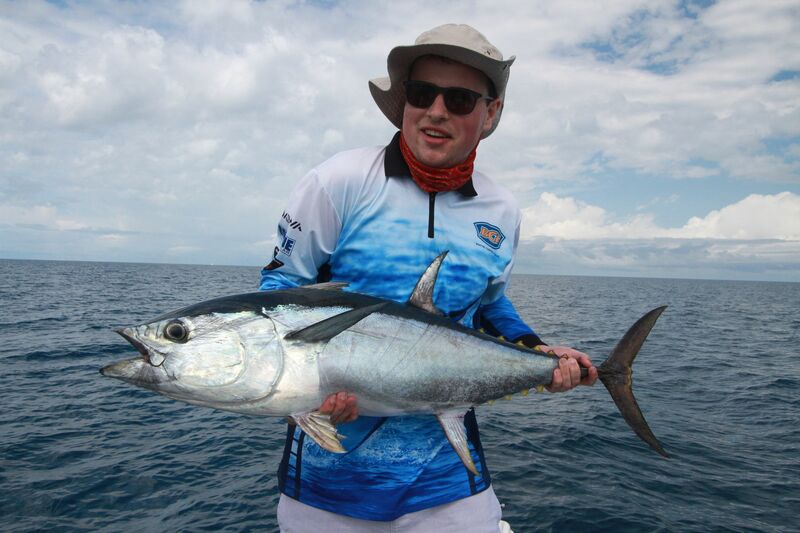 Fly fisherman have done fairly well on the spotties and tuna with smaller offerings required to match the hatch. 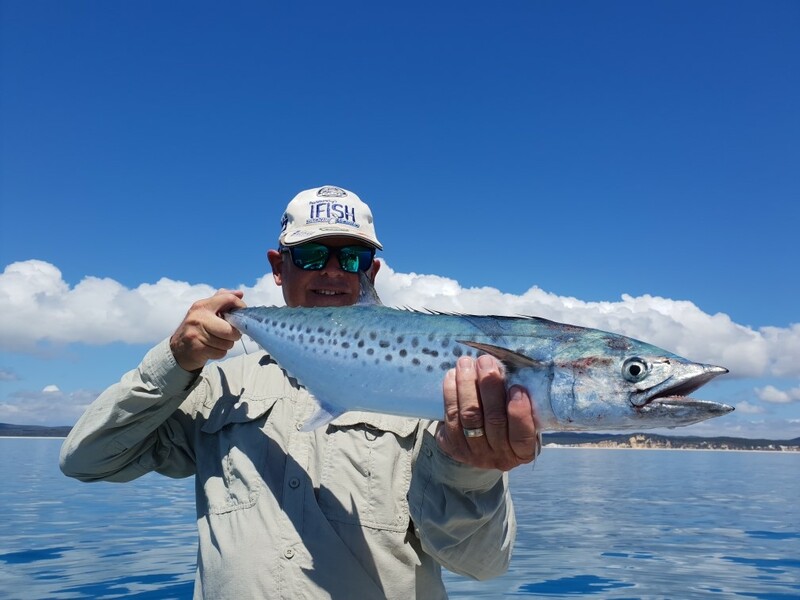 We have had reports of some great spotty mackerel fishing further north so they are on their way in good numbers as things warm up. 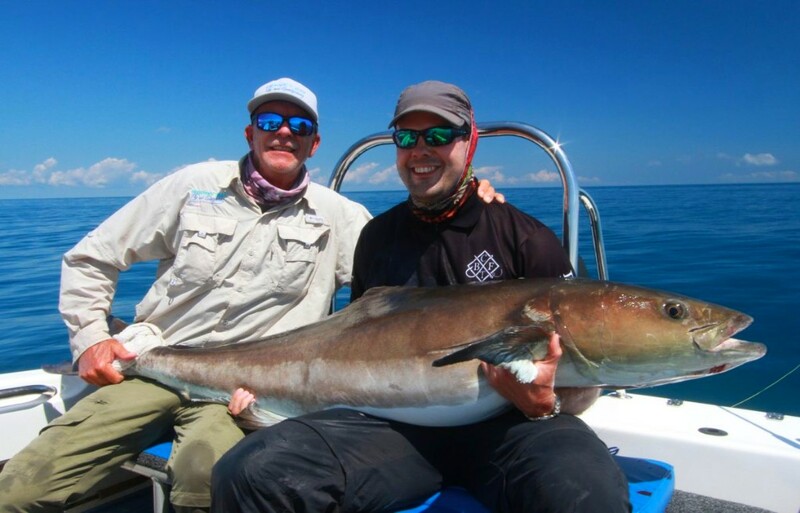 We had some good sessions on cobia through October with some big brutes in the mix. The big cobes are always a challenge, cobia to 30 kg were landed with a few big specimens lost boat side. 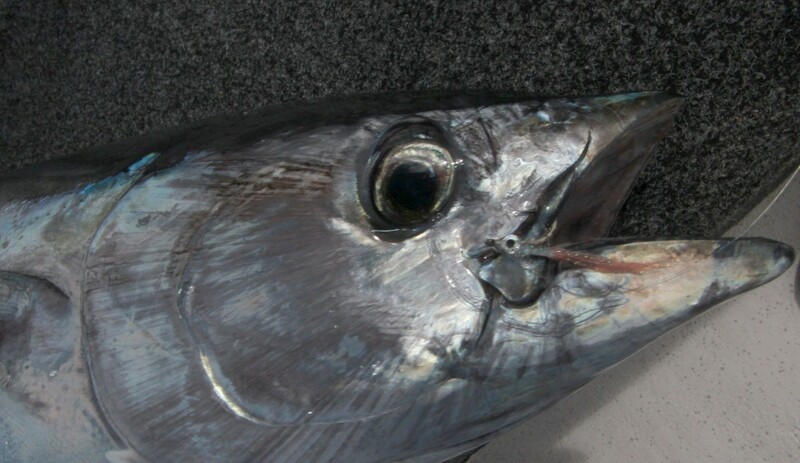 Longtails have been patchy with the odd good school about, feeding around mac tuna can make them a little fussy at times. Big goldens were also a highlight with plenty of big specimens about. 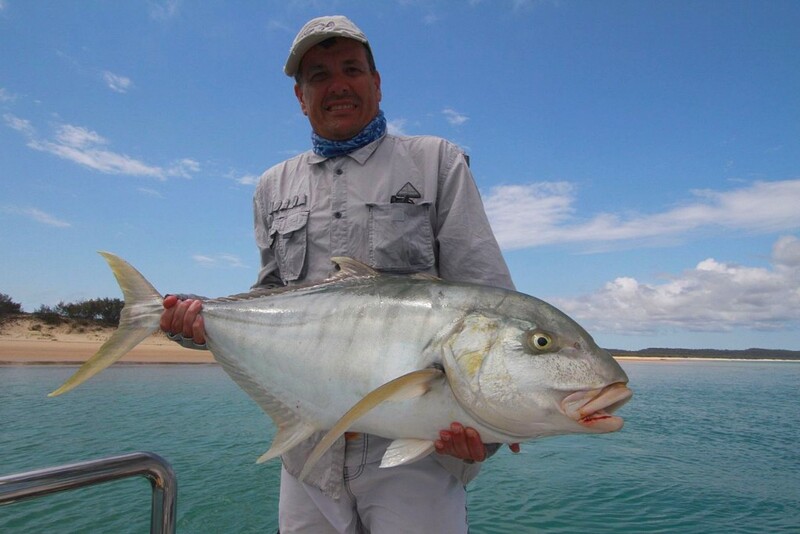 Anglers really enjoy golden trevally with their beautiful markings, good solid runs and plenty of ticker they are such a solid sportfish. Over the next month we should see some more great fishing for big pelagics along with a few bait ball sessions along the way. This big golden estimated around 14 kg took out catch of the month, Don travelled from the USA and caught some great fish. We have just fitted the new Minn Kota Terrova bow mount motor to our vessel Deceiver. It is a joy to use and I highly recommend them for anyone looking at a new bow mount. The all new Saltwater Terrova includes the all new category leading i-Pilot with Heading Sensor antenna, Bluetooth communication with a new larger screen remote, lift assist as well as a new look design. The new foot pedal with spot lock button is optional with this motor. 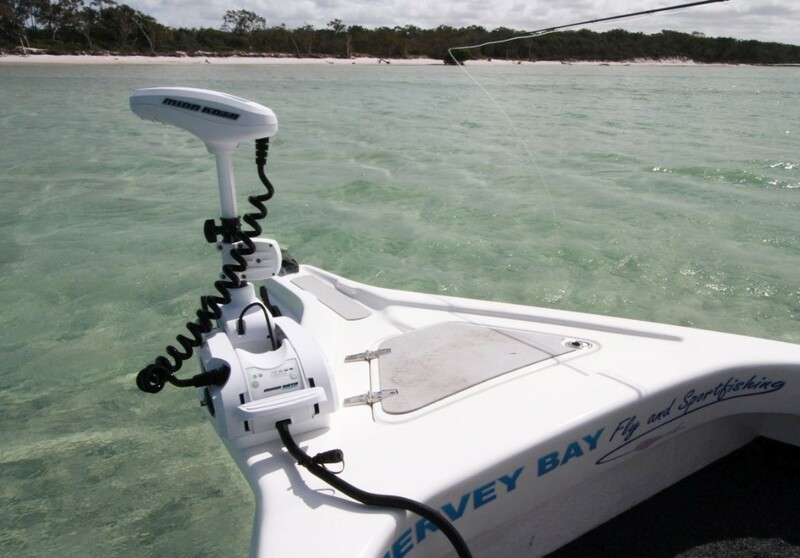 Australia’s favourite Bow Mount motor just got even better! They have been a bit slow this year hopefully good numbers are just around the corner, here is some footage from past seasons. 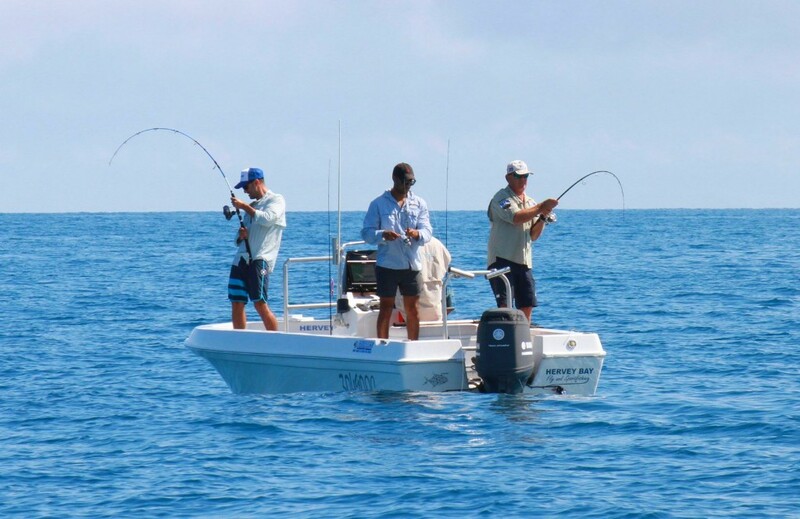 This months tip How To Cast A Spinning Reel For MORE Distance & Accuracy. 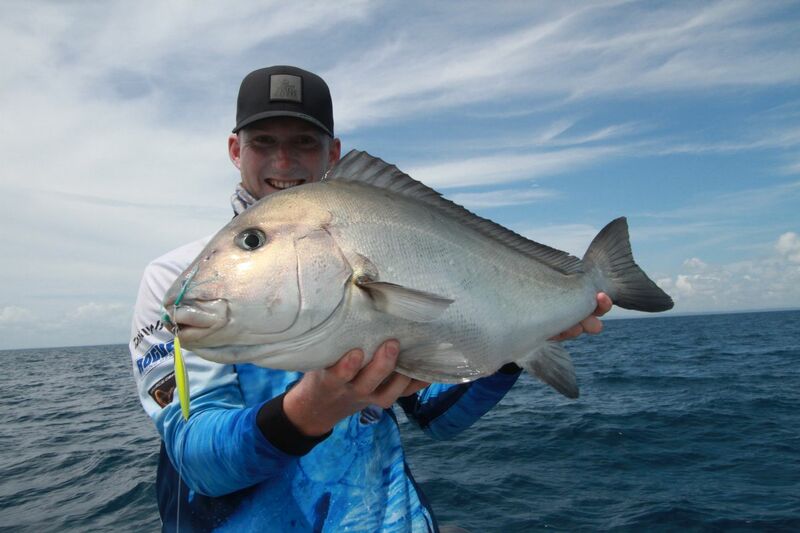 Great news for the Heavy Tackle scene offshore of Fraser Island. 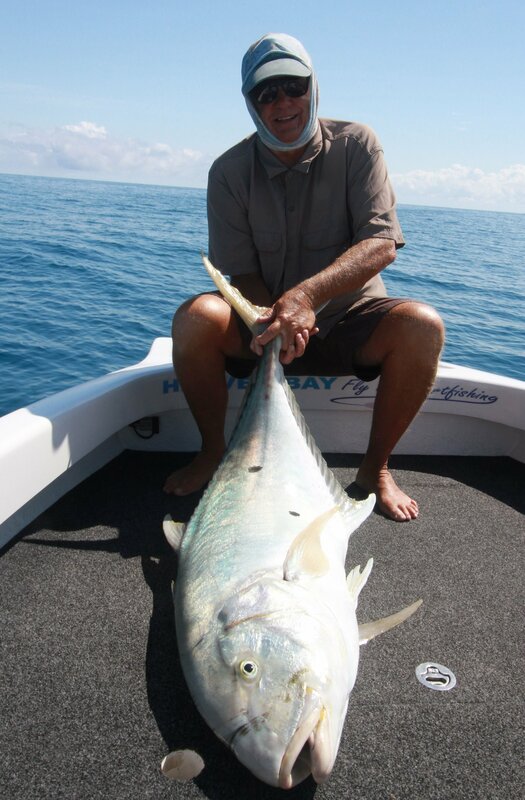 After Don from the USA finished up fishing with us he headed out on Mistress for 3 days of heavy tackle fishing. 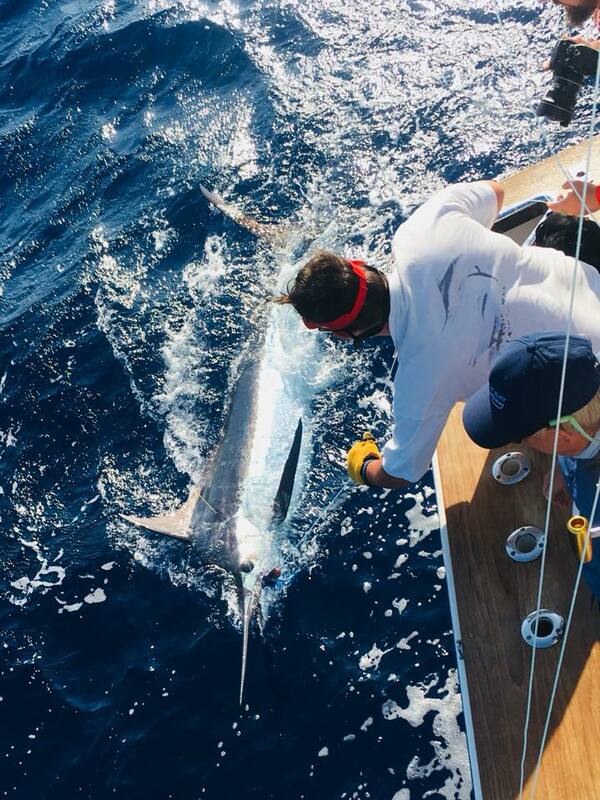 Don tagged 8 blue marlin in 3 days and raised twice as many. World class blue marlin fishing is on our doorstep exciting times ahead for our region. 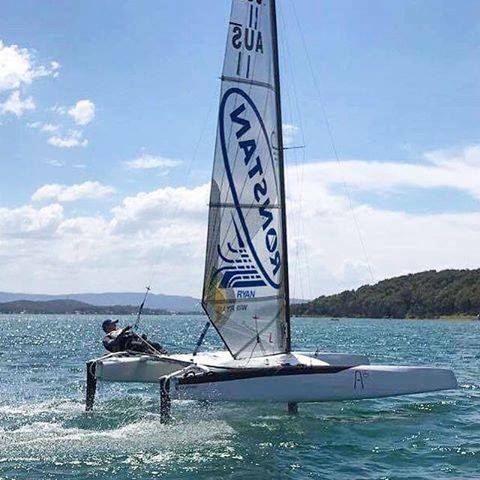 Hervey Bay Fly and Sportfishing is proud to be a sponsor of Boat number 70 skippered by Andy Linenberger for this year’s national and world titles held in Hervey Bay November 11- 23rd. If you are in town get down and check them out in action. 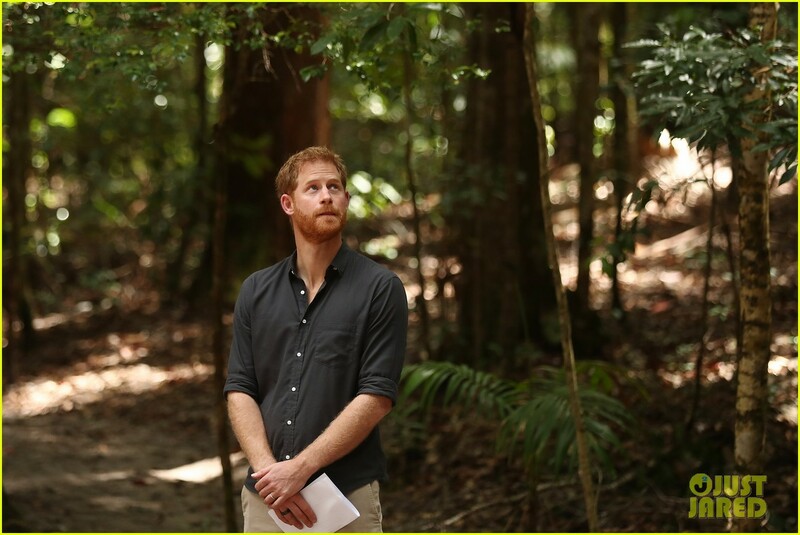 The Royal couple spent a day and a night on the island — known for its lush rainforests, rolling beaches and wild dingoes the royals spent some time seeing the Island and greeting guests. This was huge for our region giving us international exposure. Since the visit, Fraser Island has seen quite a spike in visitors already. Thanks for reading our newsletter see below for some pics from October trips.